The PCM20000A series of drives are a cost-effective solution for variable speed, process control applications from 1/20 to 2 HP. This SCR drive integrates isolation allowing it to accept external analog process control signals. Alternative solutions require users to wire a separate isolation card to the drive which adds cost and reduces available space. 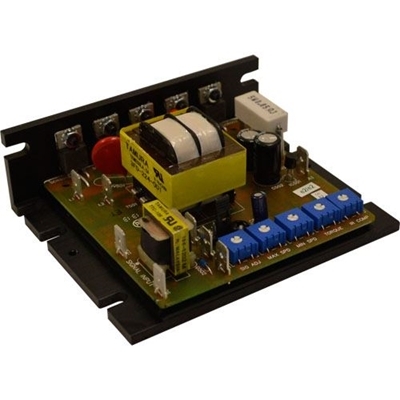 Users can operate the PCM21010A drive in manual mode using normal potentiometer operation or in signal mode where drive output is proportional to an external signal input.